This week saw the publication of another mass of financial services (FS) related material as part of the UK’s preparations in case the UK exits the EU without the Withdrawal Agreement (WA) and the proposed Transitional Period (TP) (‘no-deal’).(i.e. The no-deal regime, which would take effect at 11.00 pm UK time on Friday 29th March next year, is based on the onshored version of retained EU law/regulation, as modified under section 8 of the European Union (Withdrawal) Act 2018 (EUWA), a process sometimes referred to as Nationalising the Acquis (NtA). In the past few weeks, HMT and UK regulators have published over 2000 pages of material about the NtA regime. This week HM Treasury (HMT) published another 6 NtA statutory instruments (SIs) (see Documents 3 to 8 below) and, following on from 900 pages of NtA material from the FCA two weeks ago (see our update for the week ending 12 October 2018), the Bank of England and the PRA published a raft of NtA material comprising 7 separate Dear CEO letters/consultation papers (see Documents 2.1 to 2.7 below). Our RegZone database of NtA instruments now lists 25 SIs being promulgated by HMT and tracks their current status (draft awaited, draft published, laid before Parliament and enacted). The database also includes the draft NtA instruments (relating to rulebook changes and the modification of the onshored version of EU binding technical standards) which have been published by the UK regulators. As we explained in our April 2017 report, exiting the EU and the single market legal order removes the legal basis for a mass of FS regulatory provisions that depend on those DRC arrangements between the UK and the EU-27/EEA-3; these extend far beyond the basic mechanics of passporting. In each case, the NtA process would remove the DRC references and related provisions (with EU/EEA states/firms being treated instead as third countries/third country firms) and remove the single market/pan-EEA dimension of regulation (and replace it with UK only based provisions). To allow/provide for the DRC measure to be switched off but act unilaterally to introduce temporary measures/transitional arrangements, on a UK only basis, to help smooth the transition/change (under either HMT section 8 SIs or under the proposed powers for the regulators to make transitional arrangements referred to above) (transitional arrangements). The UK cannot, of course, change the law and regulation, which UK firms face in the EU/EEA; it can only change UK law and regulation as it applies to UK firms and EU/EEA (and non-EEA) firms. The UK’s strategy is to publicly and fully debate the NtA issues at an early stage and promulgate the necessary transitional arrangements as part of the NtA process. It is doing so on the assumption that the transitional arrangements will be made on a unilateral basis without any bilateral agreement and, therefore, without seeking to making these measures (which mostly benefit EU-27/EEA firms) conditional on reciprocal treatment for by the EU for UK firms. The UK has found it very difficult to engage the EU on the question of transitional arrangements for a no-deal scenario (i.e. how, when the legal framework for DRC falls away, the switch to third country status would operate in practice). It seems that the negotiating politics on the EU side are to take a hard line and keep their powder dry for as long as possible and they have only recognised publicly the need for very limited measures. 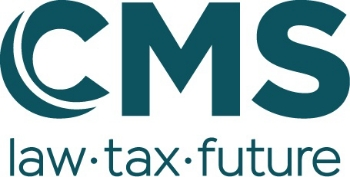 In a recent speech (see our update for the week ending 5 October) Steve Maijoor, representing ESMA, has hinted that the EU might be deciding to introduce a temporary recognition regime for UK-CCPs. Of course, the EU might, at a later stage, relent and, even without any bilateral agreement/treaty, it could, on - a voluntary basis - reciprocate and coordinate EU/EEA measures with those made by the UK. Against this background HMT and the UK regulators have been reviewing the impact of NtA changes to UK regulation and considering (in broad terms the three options above). HMT has already announced its approach and now the UK regulators are consulting on NtA changes to technical standards and their rulebooks. In the CP’s published last week (Documents 2.4 to 2.7 below), the Bank of England and PRA are consulting on these issues by identifying the changes and indicating whether there will be an element of permanent retention and, if not, whether the changes will take effect immediately on exit (immediate switch to third country basis) or whether the change will be subject to transitional arrangements. They are planning to use their transitional powers broadly to delay the application of onshoring changes ,with certain limited exceptions, so that firms providing services within the Bank’s and PRA’s regulatory remits do not generally have to prepare now to implement onshoring changes by exit day. EU-27/EEA market operators (of regulated markets, multilateral trading facilities and organised trading facilities) will lose their MiFID II passporting rights for UK activities. HMG will not be introducing a temporary recognition regime for market operators. See our previous commentary here. HMG will not be retaining the EU’s Cross-Border Payments Regulation (CBPR) because it cannot find a way to retain/modify the regulation without placing UK payment service providers at a disadvantage on the pricing of Euro transactions. See our previous commentary here. ‘The PRA’s proposed changes to the Depositor Protection and Policyholder Protection Parts of the PRA Rulebook and the proposed changes described in Chapter 8 of CP26/18 would take effect on exit day and the PRA is not proposing to grant transitional relief. Requirement for a contractual recognition term (recognising bail-in rules) in contracts governed by third country law (which will include those under the law of EU-27/EEA states). The PRA [see Document 2.5 below] ‘does not propose to grant transitional relief in respect of liabilities that are intended to count towards a firm’s MREL. Therefore, EEA law governed liabilities, other than phase two liabilities, that are issued or materially amended after exit day and that are subject to the PRA’s Contractual Recognition of Bail-In rules, would not be subject to the temporary transitional power and would be required to include a contractual recognition term’. The PRA [see Documents 2.4 and 2.5 below] does not propose to use the temporary transitional power in respect of the Stay in Resolution rules ‘ in respect of new or materially amended non-UK EEA law governed financial arrangements in scope of the Stay in Resolution Part of the PRA Rulebook’. HMT proposesthat UK firms will be able to treat UCITS in the EEA as automatically non-complex instruments and they will continue to be able to take advantage of the PRIIPs exemption for EEA UCITS. See our previous commentary here. Existing UCITS rules on cash and investment will be maintained so that UK UCITS will still be able to hold cash at EEA credit institutions. See our previous commentary here. In payment services, many UK institutions hold safeguarding accounts in the rest of the EU, the UK government is proposing to allow institutions to hold safeguarding accounts anywhere in the world, providing the institutions meet specific criteria. See our previous commentary here. firms and FMIs would continue to report and disclose regulatory data on the same basis as before exit day’; The PRA is proposing (in Document 2.5 below) to take a somewhat hybrid approach on current reporting and disclosure definitions where, in most cases, existing definitions will be retained, making only minor changes to reflect the UK’s withdrawal. (The PRA does stress however, that given the underlying regulatory change firms might have to report different data). The PRA wishes to avoid the costs for firms of introducing new templates at exit. Changes that are made may be subject to transitional relief. HMT has introduced the TPR and TRR for financial services sectors. You can access our commentary on the ones relating to financial services firms and central counterparties (CCPs) here. The single market passporting rights of EEA FS firms will be turned off by NtA modifications; as a result they may need UK authorisation, but the TPR will provide a temporary permission for these firms under Part 4A of the Financial Services and Markets Act 2000 (FSMA)to allow them to continue to operate in the UK either on a services or branch basis as they operated under the single market passport prior to exit. This temporary permission will provide time for them to obtain UK authorisation. The TRR will provide temporary recognition for non-UK CCPs in a similar way. There will also be a temporary permission regime for alternative investment funds (AIFs) which will work in a broadly similar manner to the one mentioned above. See our previous commentary on the issue here. HMT also proposed a temporary permission regime for payment services. The regime works in a broadly similar manner to the ones mentioned above. See our previous commentary here. Requirement for a contractual recognition term (recognising bail-in rules) in contracts governed by third country law – as noted above, the PRA proposes to grant transitionary relief in respect of phase two liabilities.